The lady speaks at last! 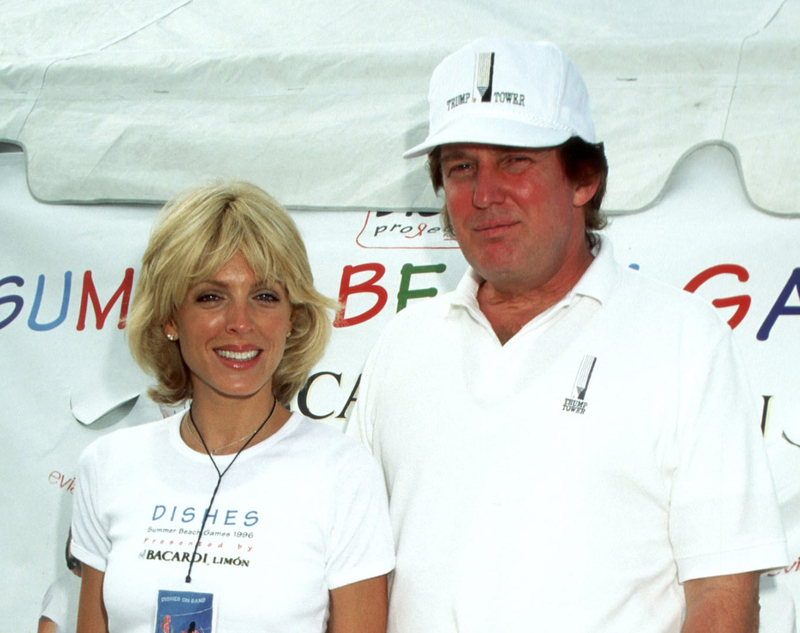 Ivana Trump gave an incredibly rare, candid interview to the New York Post about her ex-husband Donald Trump&apos;s current bid for the presidency, and opened up about everything from his affair with Marla Maples to their current relationship. “Probably five years before our divorce, Reagan or somebody brought him a letter and said, ‘You should run for president,’” Ivana, 67, mom of Donald Jr., Ivanka and Eric, told the Post in a story published Sunday, April 3. “So, he was thinking about it. But then … there was the divorce, there was the scandal, and American women loved me and hated him." Ivana, of course, was referring to her ex-husband&apos;s headline-making affair with Maples that resulted in their 1992 divorce after 15 years of marriage. "So there was no way that he would go into [politics] at that point," she mused to the paper. "But he was always tooling around with the idea." After the two divvied up their assets in their divorce, they were able to maintain an amicable relationship, coparenting their three kids. In fact, Ivana told the Post that she advises her husband at times. “I suggest a few things,” the former model said. “We speak before and after the appearances and he asks me what I thought." Ivana tells her husband to “be more calm," though that&apos;s not in his nature. As for Donald&apos;s infidelity with Maples? "She asked to apologize to me in the Daily Mail in London. They asked if I accepted the apology and I said no," Ivana replied. "Why should I? She broke my marriage!” Maples and Trump were married from 1993 to 1999. She is currently competing on ABC&apos;s Dancing With the Stars and shares a 22-year-old daughter, Tiffany, with her ex. Watch the video above for more on Melania&apos;s exclusive interview with Us.